A special case is the Seismicity of the Earth catalog of Gutenberg & Richter (1954). 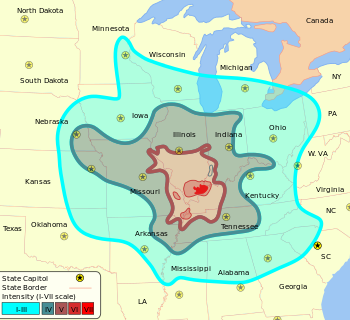 Hailed as a milestone as a comprehensive global catalog of earthquakes with uniformly calculated magnitudes, they never published the full details of how they determined those magnitudes. Consequently, while some catalogs identify these magnitudes as MGR, others use UK (meaning "computational method unknown"). Subsequent study found many of the Ms  values to be "considerably overestimated." Further study has found that most of the MGR  magnitudes "are basically Ms  for large shocks shallower than 40 km, but are basically mB  for large shocks at depths of 40–60 km." Gutenberg and Richter also used an italic, non-bold "M without subscript" ��� also used as a generic magnitude, and not to be confused with the bold, non-italic M used for moment magnitude – and a "unified magnitude" m (bolding added). While these terms (with various adjustments) were used in scientific articles into the 1970s, they are now only of historical interest. An ordinary (non-italic, non-bold) capital "M" without subscript is often used to refer to magnitude generically, where an exact value or the specific scale used is not important. Bormann, P. (2012), "Data Sheet 3.1: Magnitude calibration formulas and tables, comments on their use and complementary data." (PDF), in Bormann (ed. ), New Manual of Seismological Observatory Practice 2 (NMSOP-2), doi:10.2312/GFZ.NMSOP-2_DS_3.1 . Bormann, P. (2012), "Exercise 3.1: Magnitude determinations" (PDF), in Bormann (ed. ), New Manual of Seismological Observatory Practice 2 (NMSOP-2), doi:10.2312/GFZ.NMSOP-2_EX_3 . Bormann, P. (2013), "Information Sheet 3.2: Proposal for unique magnitude and amplitude nomenclature" (PDF), in Bormann (ed. ), New Manual of Seismological Observatory Practice 2 (NMSOP-2), doi:10.2312/GFZ.NMSOP-2_IS_3.3 . Bormann, P.; Dewey, J. W. (2014), "Information Sheet 3.3: The new IASPEI standards for determining magnitudes from digital data and their relation to classical magnitudes." (PDF), in Bormann (ed. ), New Manual of Seismological Observatory Practice 2 (NMSOP-2), doi:10.2312/GFZ.NMSOP-2_IS_3.3 . Bormann, P.; Fugita, K.; MacKey, K. G.; Gusev, A. (July 2012), "Information Sheet 3.7: The Russian K-class system, its relationships to magnitudes and its potential for future development and application" (PDF), in Bormann (ed. ), New Manual of Seismological Observatory Practice 2 (NMSOP-2), doi:10.2312/GFZ.NMSOP-2_IS_3.7 . Bormann, P.; Wendt, S.; Di Giacomo, D. (2013), "Chapter 3: Seismic Sources and Source Parameters" (PDF), in Bormann (ed. ), New Manual of Seismological Observatory Practice 2 (NMSOP-2), doi:10.2312/GFZ.NMSOP-2_ch3 . Choy, G. L.; Boatwright, J. L. (2012), "Information Sheet 3.6: Radiated seismic energy and energy magnitude" (PDF), in Bormann (ed. ), New Manual of Seismological Observatory Practice 2 (NMSOP-2), doi:10.2312/GFZ.NMSOP-2_IS_3.6 . Engdahl, E. R.; Villaseñor, A. 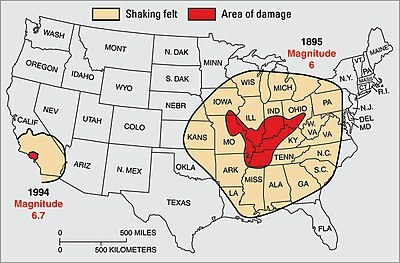 (2002), "Chapter 41: Global Seismicity: 1900–1999", in Lee, W.H.K. ; Kanamori, H.; Jennings, P.C. ; Kisslinger, C. (eds. ), International Handbook of Earthquake and Engineering Seismology (PDF), Part A, Academic Press, pp. 665–690, ISBN 0-12-440652-1 . Grünthal, G. (2011), "Earthquakes, Intensity", in Gupta, H. (ed. ), Encyclopedia of Solid Earth Geophysics, pp. 237–242, ISBN 978-90-481-8701-0 . Musson, R. M.; Cecić, I. (2012), "Chapter 12: Intensity and Intensity Scales" (PDF), in Bormann (ed. 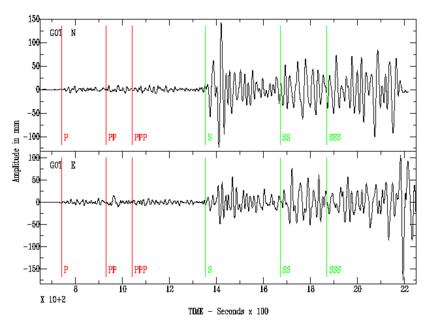 ), New Manual of Seismological Observatory Practice 2 (NMSOP-2), doi:10.2312/GFZ.NMSOP-2_ch12 .